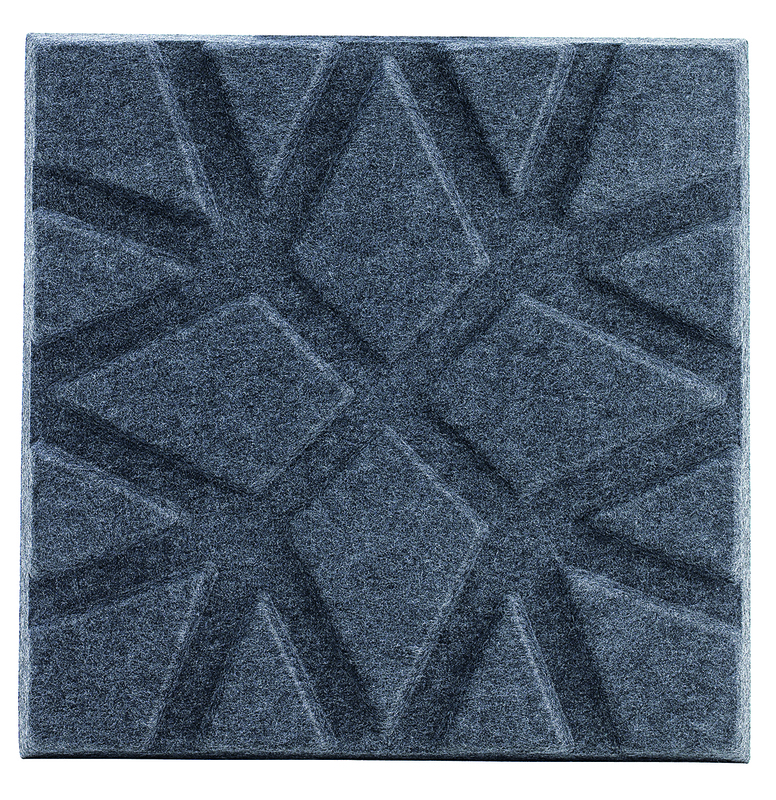 Soundwave® Geo is designed by the well-known furniture designer Ineke Hans. 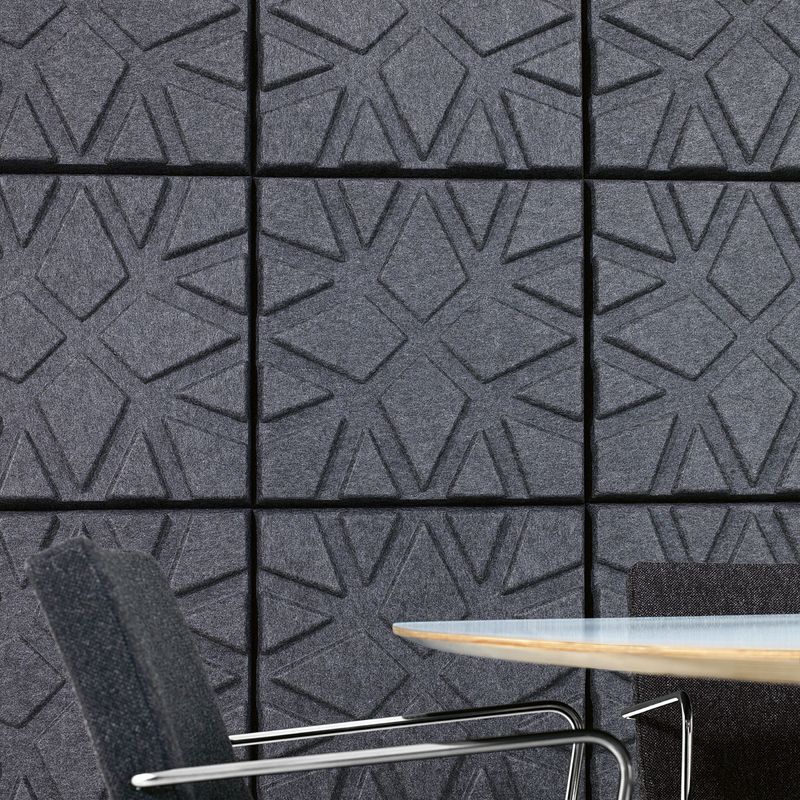 Ineke Hans views Soundwave® Geo as a three-dimensional wall decoration similar to the ones which people have always created around the world. 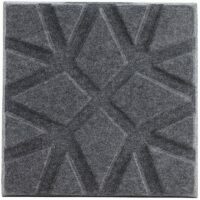 The difference is that Geo has a clear function due to its sound-absorbing purpose. 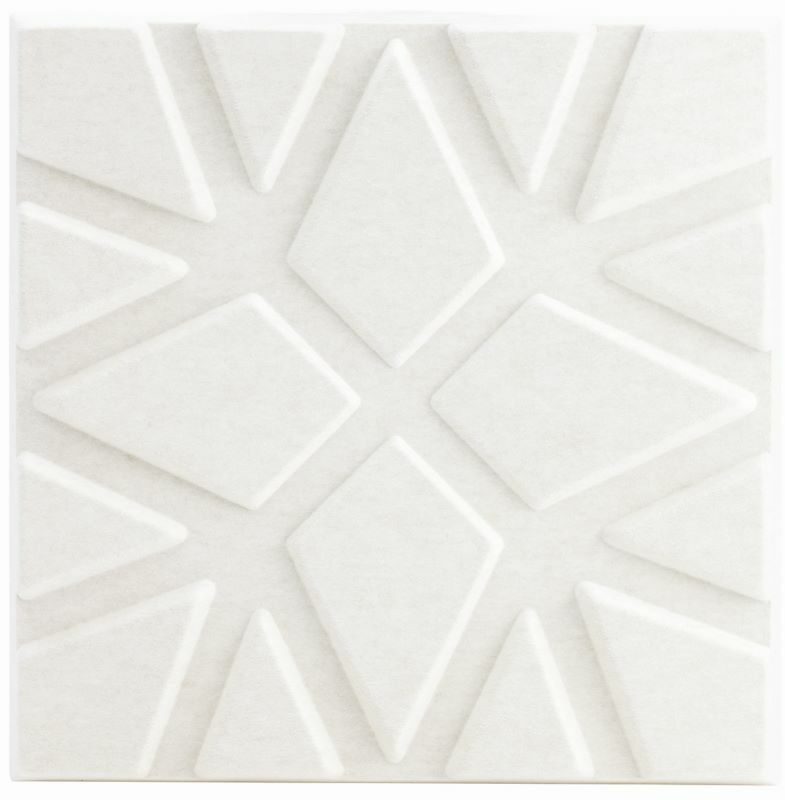 “People have always wanted to decorate their walls – everywhere and in every era. 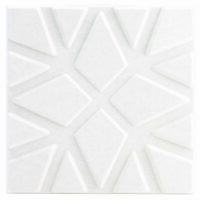 But we designers have a tendency to pare away the decorative aspect. 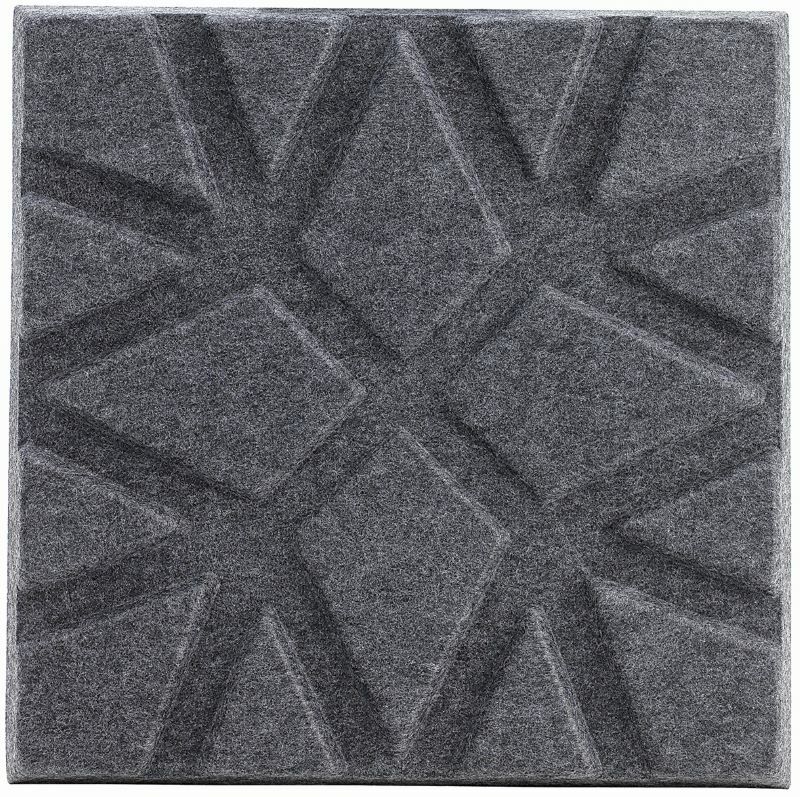 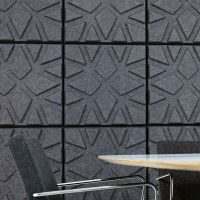 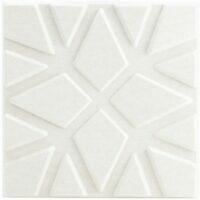 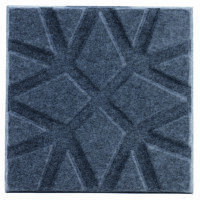 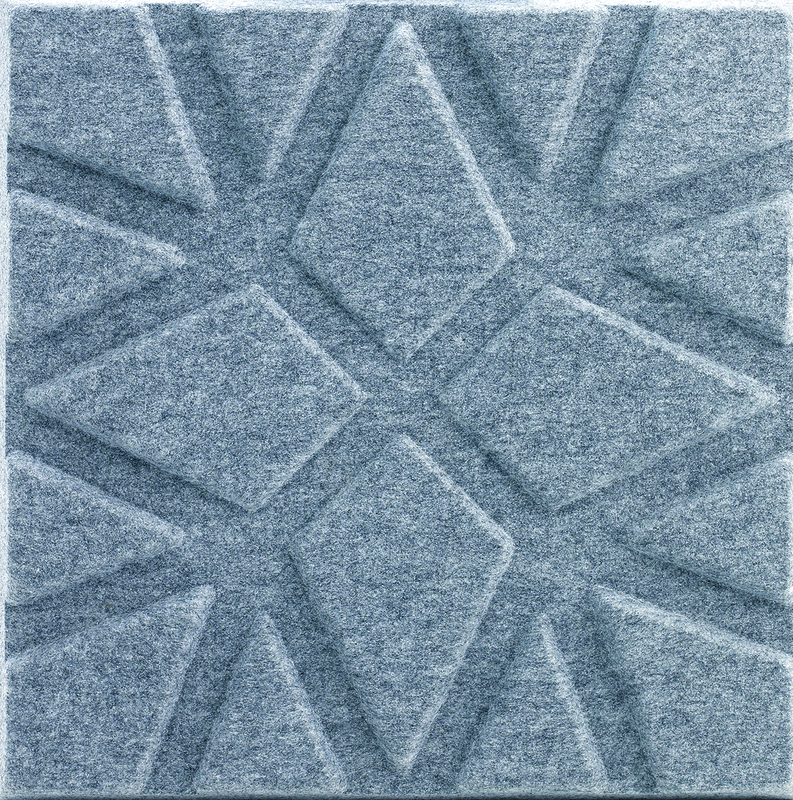 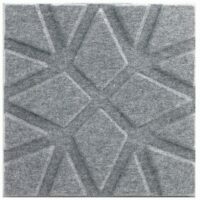 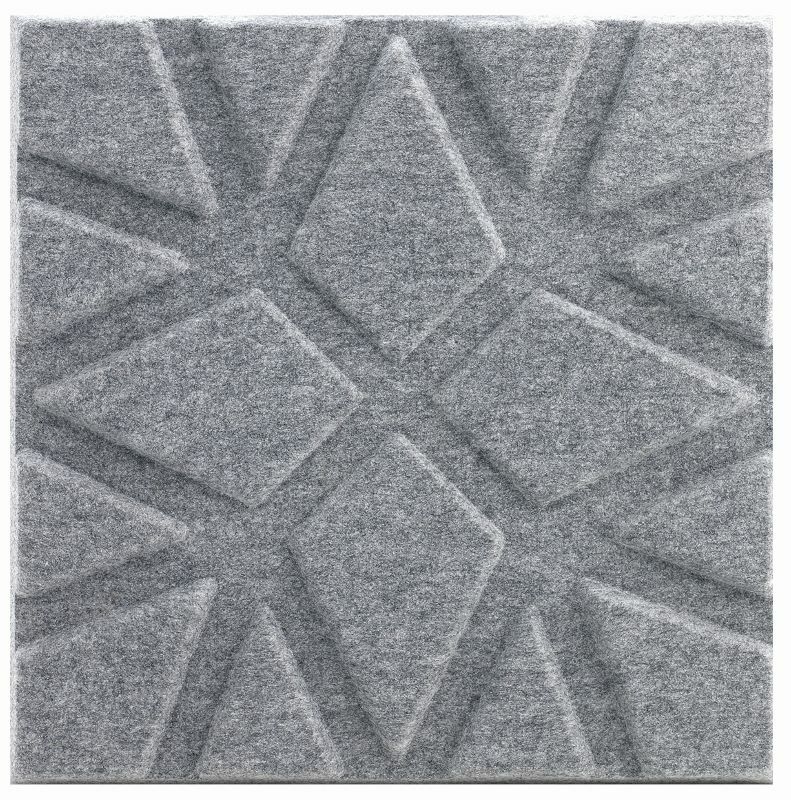 I wanted to combine Offecct’s sound panels made of felt with a geometric pattern that is decorative but can also function on the large scale with many panels in rows without looking too cluttered. 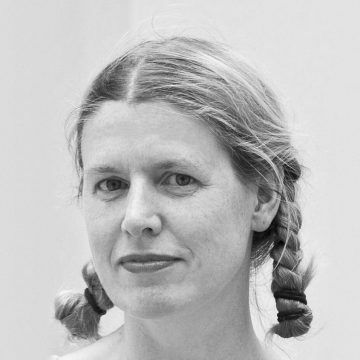 Quite simply, a combination of tradition and modern design,” says Ineke Hans. 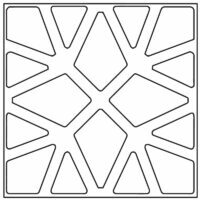 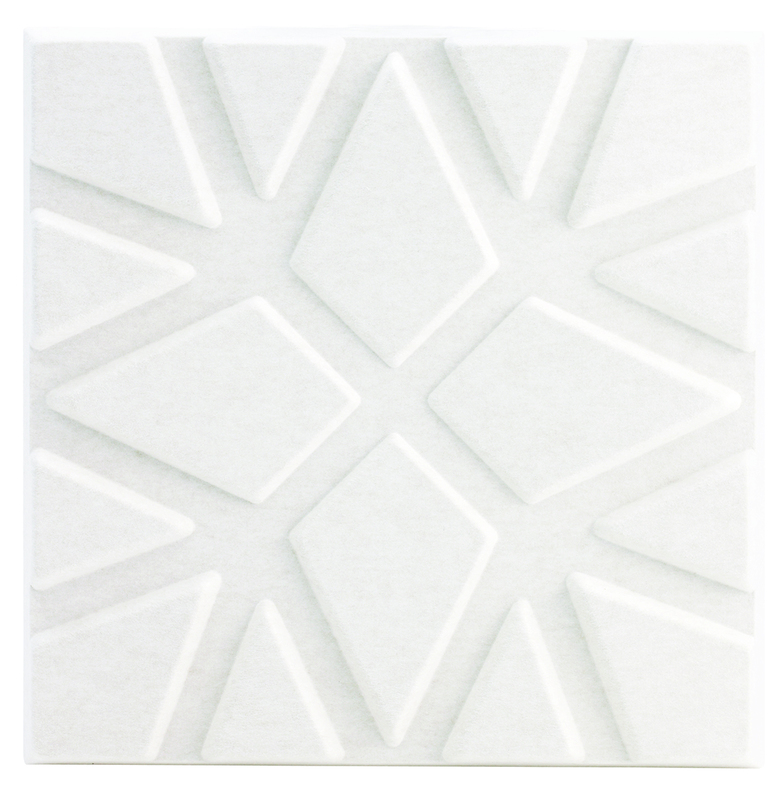 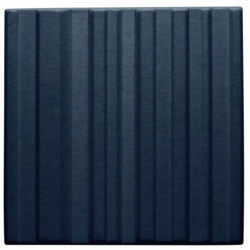 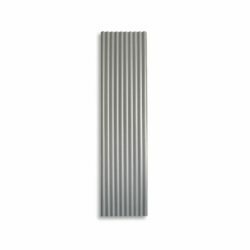 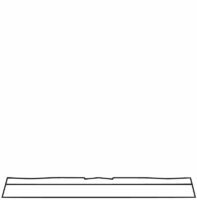 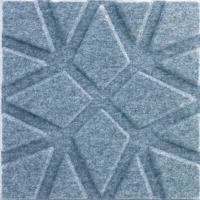 Geo is designed to be used as lightweight sound absorbers in the upper frequency range (500 Hz and above). 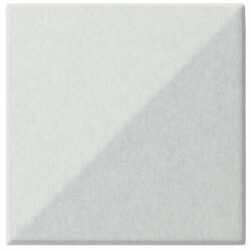 These panels help reduce disturbing reflections of environmental sounds such as voices, telephones etc. 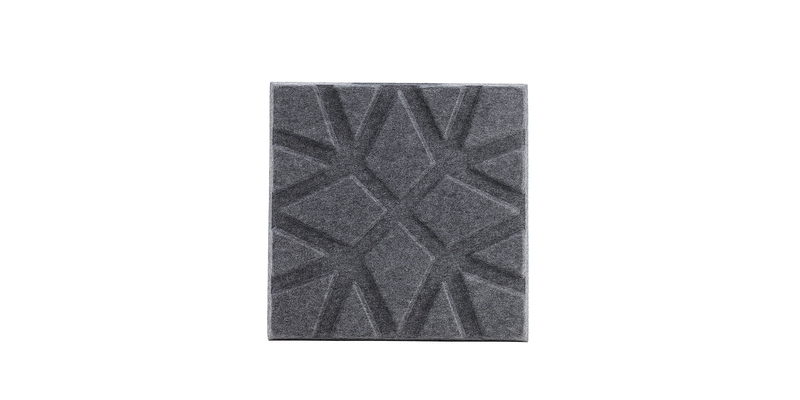 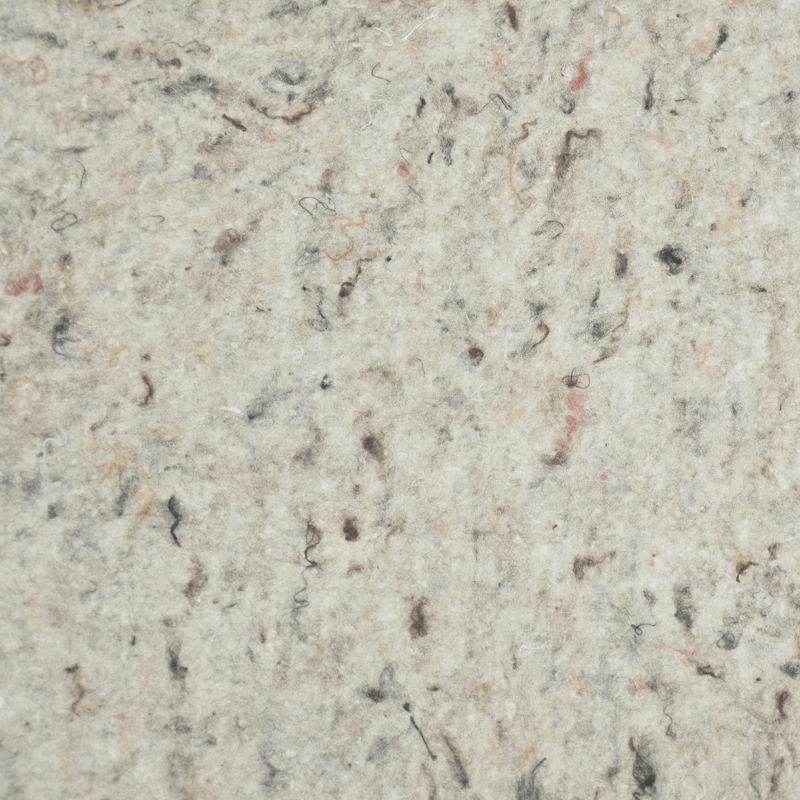 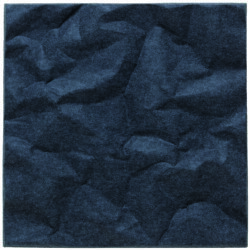 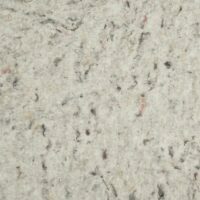 Recyclable moulded polyester fibre in anthracite, grey and offwhite.